Conviction of a crime can change your life in seconds. When you’re faced with criminal charges related to domestic violence, fraud, theft, or any other matters, it’s best to hire a proven and aggressive Hendry County criminal defense lawyer. Attorney Fred R. Kahle of The Kahle Law Firm, P.A. serves to defend the accused, doing everything in his power to protect their futures and their freedom. Attorney Kahle has exclusively practiced criminal law for over 17 years. 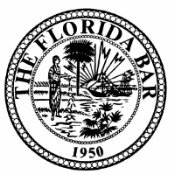 Through extensive courtroom experience throughout Southwest Florida, he has a strong understanding of what it takes to win a case. Attorney Kahle has handled 10,000+ criminal cases in Florida and Pennsylvania, reaching countless favorable verdicts on behalf of our clients. Fearfully and faithfully standing up for the individuals he represents, he sticks with our clients to the end. Request a free consultation with The Kahle Law Firm, P.A, today. 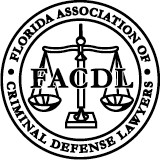 Call (863) 313-1019.
to Win a Criminal Defense Case. Highly recognized and respected in the community, The Kahle Law Firm, P.A. has a reputation for delivering top-notch legal representation for the accused. As a former Assistant DA in Philadelphia and a former Florida Assistant State Attorney, Attorney Kahle’s insight into the justice system supersedes the knowledge of many other criminal defense attorneys in the area. Law enforcement officers, doctors, and other lawyers have even turned to Attorney Kahle for credible guidance. Attorney Kahle goes above and beyond to accommodate our clients’ legal needs. We also provide Spanish-speaking services to better assist our ESL clients.